Hello and welcome to the 2nd part of Japanese School’s Life! In my previous post, I state the general information in Japanese school’s life, so in this post I’ll try to cover a different aspects. What kind of article I will write today, you might ask? Well, honorable reader, today I will cover the Japanese School’s buildings and the inside, and the ever-diligent hobby of cram school! I really wish I can cover more today, but I’m afraid that will make this article rather long and boring. Enough apologizing! Without further ado, let’s get on to the main topic! 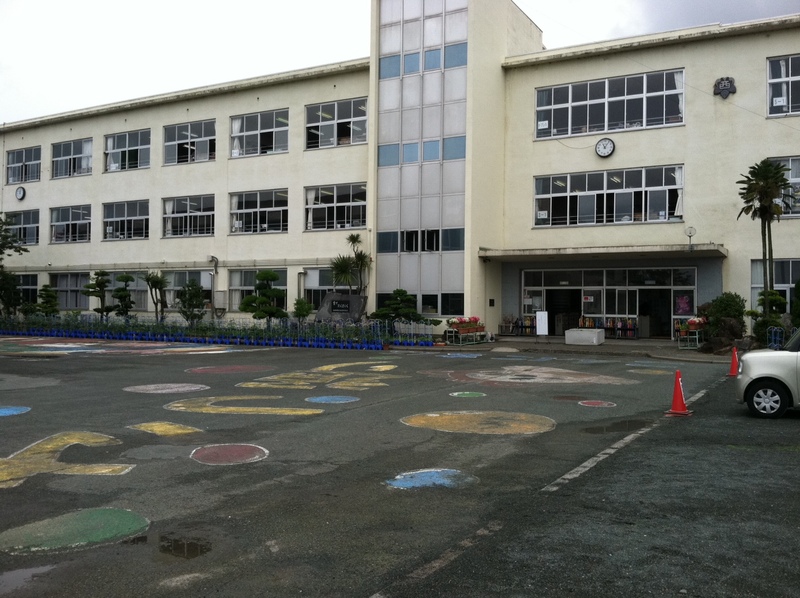 If you try to differ between Japanese schools and American Schools, you will notice that Japanese Schools have a Simple, Antique, and Old environment that somehow seems peaceful, rather than America Schools that accentuate motivation colors. There is usually a big entrance door built of continuous pillars that are pretty low. Once you go in, you can see a big ground made of sand, on which the students can play during free time between classes. In the main building, you will notice a small lockers (without doors), often made of wood, where students can put their shoes in. In Japanese schools, students wear a kind of gym shoes called “uwagutsu” inside the buildings. The hallway is similar to American schools, just looks a little old. 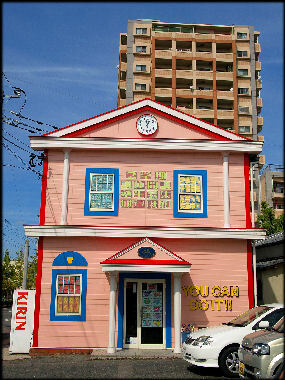 The classroom door is opened by pulling the door to the right, unlike American classroom doors which is opened by pulling in or out. 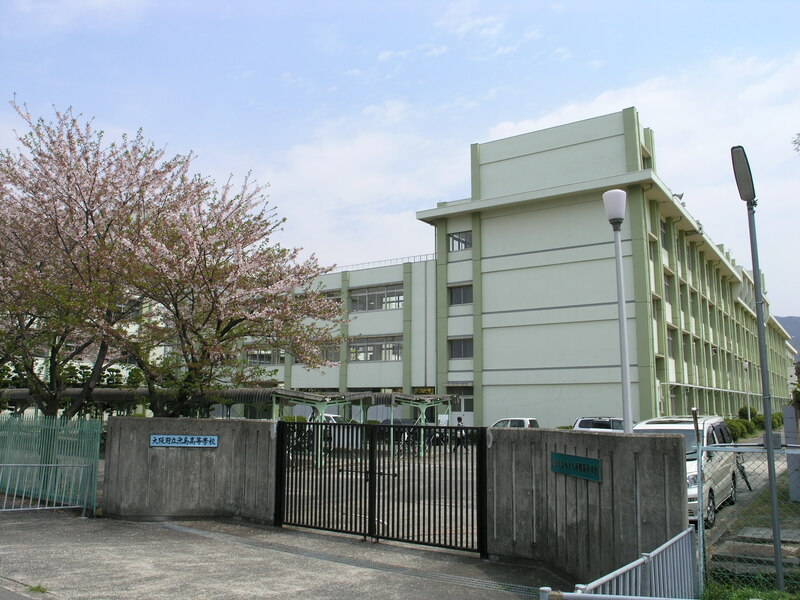 Generally, the Japanese school building are three-story, rectangular, concrete structures which lack central heating or air conditioning. Room stoves are commonly used in cold weather. The lack of decoration and furnishings is believed to help the child focus on learning and building character. Yet all schools have excellent educational facilities, including libraries, music rooms, art rooms, gymnasia, and playgrounds. Seventy-five percent of public schools have swimming pools. Music rooms ordinarily include electric organs, pianos, xylophones, percussion instruments of various kinds, and often a ruled blackboard suitable for teaching music reading. Science and art rooms are similarly well equipped. 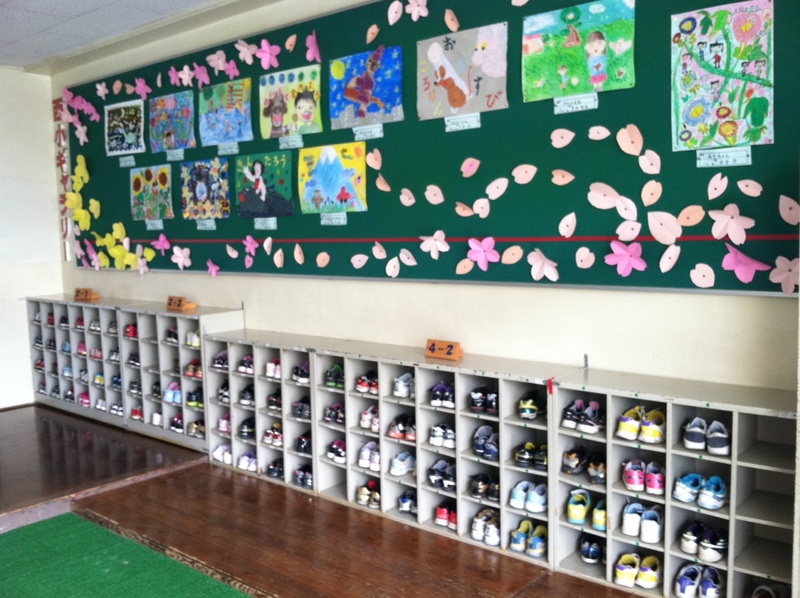 Did you know when students enter the school building, they have to changes their shoes? It’s common knowledge that Japanese people remove their shoes before entering a home in order to protect the bamboo floor mats (or “tatami”) from soil and wear. What is less commonly known is that they follow the same custom when entering certain public buildings, even though such buildings may have no tatami flooring. Japanese public schools do not employ janitors. The Japanese education system (and Japanese citizens in general) believe that requiring students to clean the school themselves teaches respect and responsibility. Another reason for students to take off their shoes is to prolong the life of their outdoor shoes. The indoor slippers and shoes are usually much cheaper to replace than the outdoor shoes. Students remove their shoes at the entrance of the school. They place their outdoor shoes in a small, square shelf called a “geta bako” and put on “uwagutsu” or indoor slippers. The “geta bako,” or shoe box, is used primarily for storing shoes, but it doubles as a kind of informal letter box in which notes for the student can be left. 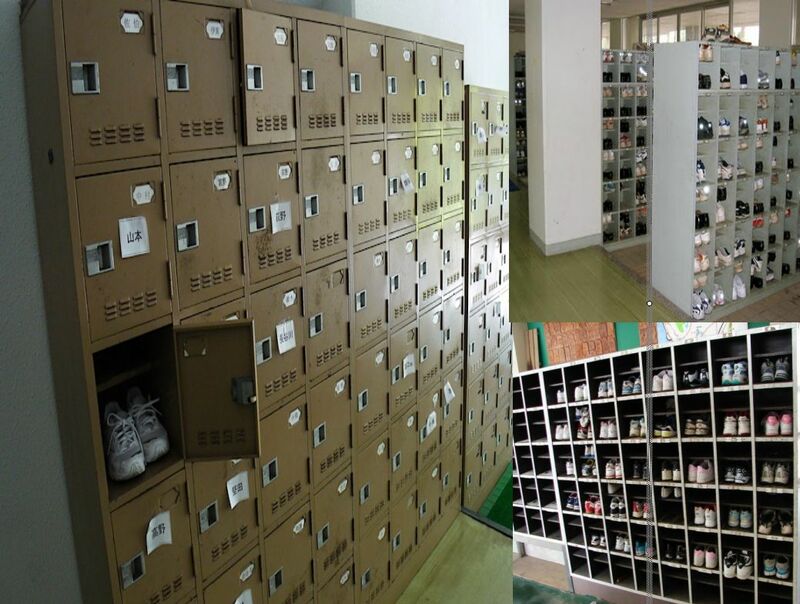 Students in Japan do not have lockers of their own. These shoe boxes are the closest students come to having a private place to keep their personal effects. Many people, however, consider the “geta bako” dirty (from the shoes) and avoid leaving notes or other effects there. I have explained the three-story school building right? Each grade occupies a separate section or floor of the building, with each class assigned its own room. This is true for all grade, whether its compulsory or high school (excluding the university, of course). Classrooms are uniformly rectangular with windows on one side and a doorway on the other that opens to a hallway running the length of the building. The rooms are crowded with desks. In front of the blackboard is a raised part of the floor (or else a low wooden platform) where the teacher stands to lecture. The teacher would also have a small table or podium to keep his stuff. Teachers too have to change their shoes but they get to wear slippers of any kind they want. In the back of the room are the unlock-able lockers, and there might be hooks for umbrellas or coats to hang. The locker is usually used by the student to place their bag and belongings. Also, every room has a closet full of cleaning supplies for student to clean the room. Interesting Trivia: Different from Western School, Japanese School rather use Blackboard / Chalkboard over Whiteboard, Chalk over Marker. Although the dust can make cough for those who allergic, it seems chalk have several benefits. It’s cheaper and eco-friendly; It’s easy to have to erase and have a clean slate; It never dry and always working (until it runs out, at least); And for those who wish to learn Japanese writing, chalk are able to effectively convey every stroke in each letter, by its pressure and delicate touching. Plus, its colorful! Although, it’s bad to use chalk if electric machine are near. The dust can damage it. Cram School? Is It Important? 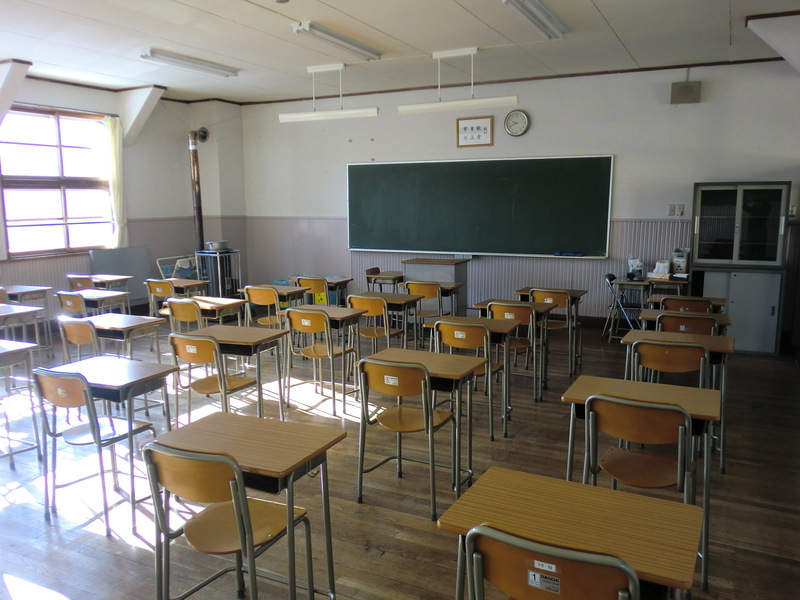 An interesting component of Japanese education is the thriving industry of juku and yobiko, after school “cram schools,” where approximately 60% of Japanese high school students go for supplemental lessons. Juku may offer lessons in nonacademic subjects such as art, swimming, abacus, and calligraphy, especially for elementary school students, as well as the academic subjects that are important to preparation for entrance examinations at all levels. Juku for high school students must compete for enrollment with yobiko, which exist solely to prepare students for university entrance examinations. Some “cram schools” specialize in preparing students for the examination of a particular school. 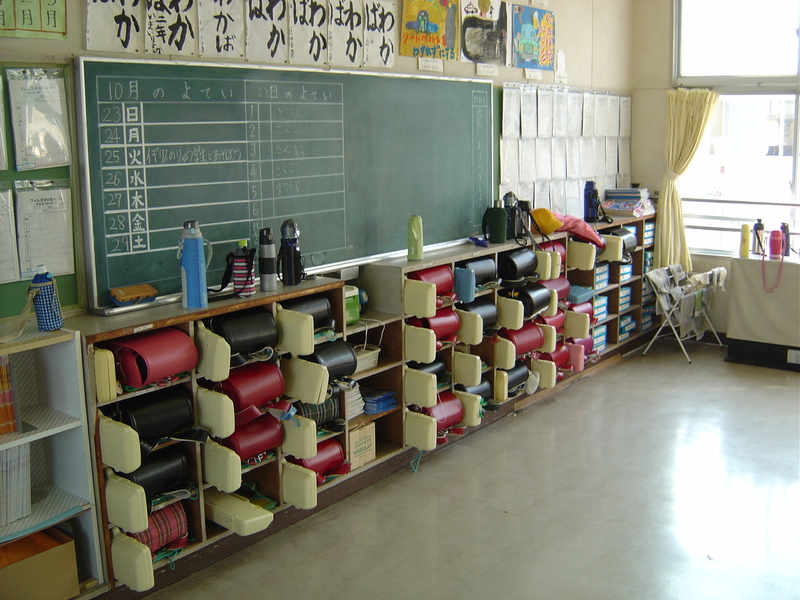 Although it would seem natural for students to dread the rigor of additional lessons that extend their school day well into the late evening hours and require additional homework, many students enjoy juku and yobiko, where teachers often are more animated and more interesting than some of the teachers in their regular schools. Also, in many cases, the lessons studied in “cram schools” provide an intellectual challenge for students bored with the standardized curriculum of their regular schools. Juku and yobiko are primarily private, for profit schools that attract students from a wide geographical area. They often are located near train stations, enabling students to transport themselves easily to juku directly from school. Juku and yobiko thrive in Japan, where it is believed that all people possess the same innate intellectual capacity, and it is only the effort of individuals, or lack thereof, that determines their achievement above or below their fellows. 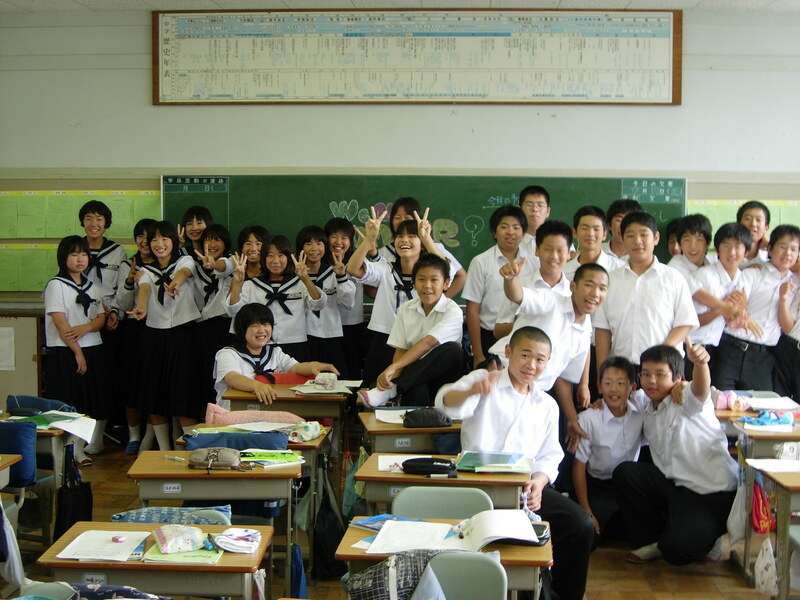 In Japanese schools, there is the tendency to pass students with their grade cohort. Therefore, without the supplemental juku lessons, some students could fall well behind their classmates. Yobiko also exist to serve ronin, “masterless samurai,” students who have failed an entrance examination, but who want to try again. It is possible for students to spend a year or two as ronin after graduating from high school, studying at yobiko until they can pass a university entrance examination or until they give up. “Cram school” tuition is expensive, but most parents are eager to pay in order to ensure acceptance into a selective junior high school, high school, or university, and thus, a good future for their children. If you ask your typical shonen student, I’m sure most of them would prefer studying alone or with friends. But from the perspective of the parents, even though cram school are absurdly expensive, but most parents are eager to pay in order to ensure acceptance into a selective junior high school, high school, or university, and thus, a good future for their children. The payment method range from week, 2 weeks, month, and year. And depend on how many subject covers per session, the price also differ. At Cram School, for a week, you need to pay around 4.000 – 9.000 Yen; For 2 weeks, around 6.000 – 15.000 Yen. For month, 12.000 – 30.000 Yen; For a year, around $3000 – $5000. As for the tuition of Preschool, or Yobiko, a student usually spends more than 100,000 yen a month and in some urban areas more than 200,000 yen. And that’s it for today’s article! On the next post, I will cover the interesting things I just found out (secret, but I found it rather interesting), the school trips, aaaand the charismatic graduation day. A little spoiler, in my very last Japanese school life part post, I will cover the two types of problems the lower-secondary level education faces. Can you guess what it is? I hope you could stay with us until the very last of High school post. Please look forward for our next post. This was really interesting!! I knew some things from before, but most things were new to me :) So, thanks for sharing! I’m quite agree, Japanese school life was what we call “Harsh”. But we cannot ignore the result too, zero illiteracy on compulsory education. With such harsh environment, you can explain many Japanese people behavior, one with result-driven attitude or the closed-up hikikomori because of stress. though, i wonder if they will accept the concept? if its applied to elementary grade, those who still need guidance and have not the ability to differ right and wrong, I’m sure the elementary student just blindly accept it. what about the middle and high school, with all their rebellious stages? I think for elementary grade, they will be hard to adapted with it, and for middle and high school, maybe they just think “Ah what the hell, like i care with this” most of them are like that…. i guess. Interesting. I guess that is also true. Yup, there aren’t really much difference between the school hour of Indonesian and Japanese, but somehow Japanese are more meticulous. Someday, I wish to see that Indonesian students have the same diligence as the Japanese students. Until then, I just hope for the best. I wonder if there’s anything we can do to make Indonesian students more aware of education?